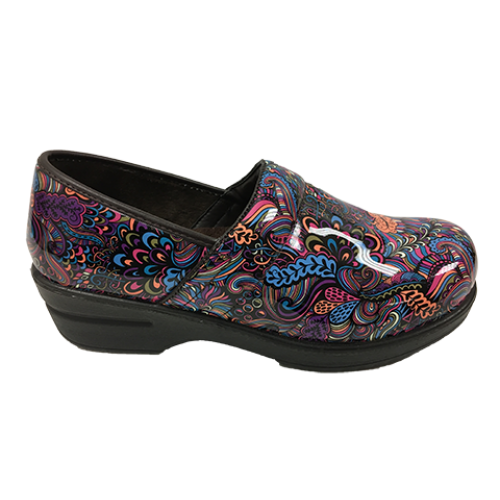 The Savvy Brandy Pink Mardi Gras Nursing Shoe features an easy to clean man-made upper. 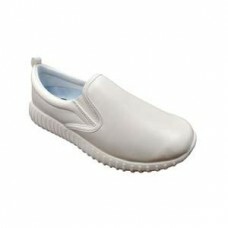 The aerocushion insole and lightweight construction offer superior comfort while the steel shank provides arch support. 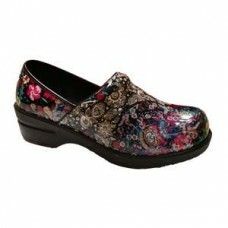 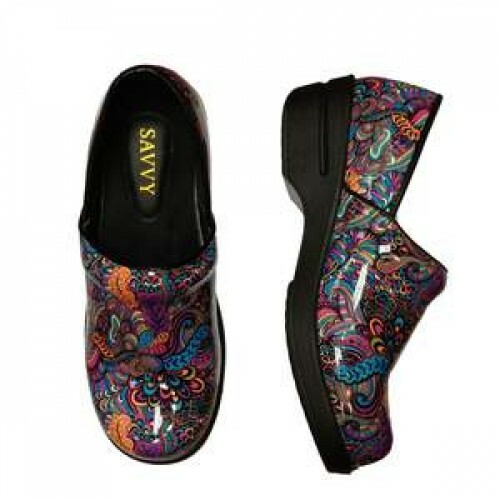 These shoes include an enhanced toe room for added comfort and the leather-lined heel construction enhances durability. 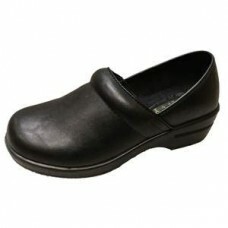 For added stability, they are also feature a US Certified Slip-Resistant Out-Sole.